A variation of the Balloon Caddis. 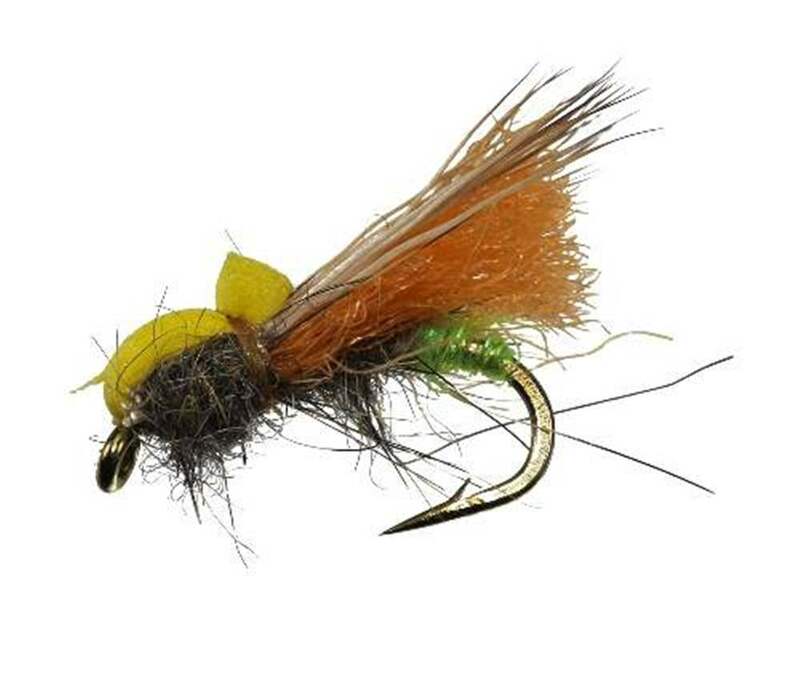 This take on the traditional pattern, has improved buoyancy thanks to the mixture of Elk hair and Polyprop yarn as a wing This is a superb imitation of an adult caddis fly which rather than imitate a particular species of caddis uses a roof wing profile to mimic a whole range of medium to small brown caddis flies. The wing is made of Elk hair which is tough but retains good buoyancy. A excellent fly to use as a indicator as part of the Duo method. As the name indicates dry flies which include Balloon Caddis are designed to float on the surface of the water. Trout dry flies types which include Elk Hair Caddis Brown imitate a wide variety of flies and insects which inhabit the surface of the water. There is nothing like using dry flies and watching trout and grayling rise to the surface. To purists dry fly fishing is the true art-form of fly fishing, indeed some rivers only permit dry fly fishing. There are some dry flies (e.g. the Popper, Muddlers) which are designed to attract fish by the action of creating a surface disturbance. The flies are made from very buoyant materials (e.g, cork, ethafoam or deer hair, the latter having a generous application of floatant). A Muddler retrieved upwind of a rise can often result in a bulge in the water as the fish follows the fly.